This ‘natural’ beauty 20-year-old studies architecture at university and still can’t believe she won. Alina Sanko is now officially the most beautiful woman in Russia after winning Miss Russia 2019 on April 13 in the Moscow Region. She beat 50 competitors to win the title, a white golden crown decorated with gems, three million rubles ($47,000) in cash, and a car. Not bad for a day’s work. Alina is 20-years-old and was born in the city of Azov in the Rostov Region (southern Russia). She’s now studying in Moscow. Alina has won many hearts with her selfies, and during Miss Russia’s Q&A she revealed her love of painting portraits. Arina Verina from Yekaterinburg came second, while Ralina Arabova from Tatarstan scooped third place. “I really didn't think I would win. When I heard my name, I didn’t believe it," Alina said. 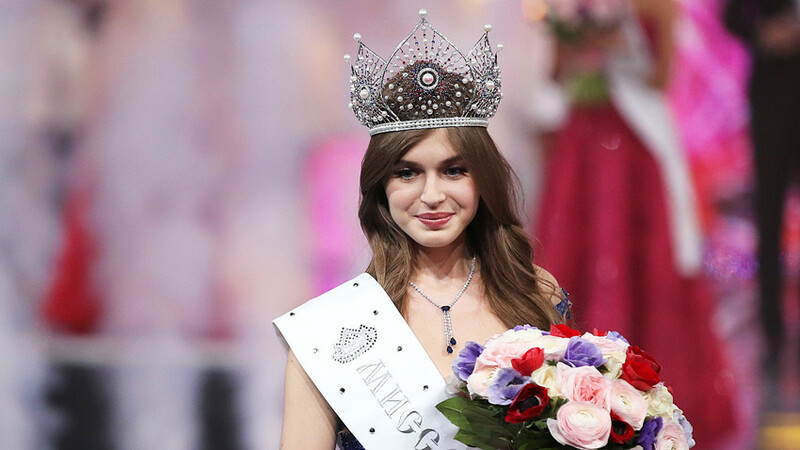 The contest was the 24th consecutive Miss Russia. Contestants must be aged 18 to 23 and unmarried. This year the jury paid special attention to the girls’ “natural” appearance. Tattoos, hair extensions, and “unwomanly behavior” are frowned upon by the judges. But Alina’s victory and “natural” appearance has polarized the public, with some people saying she’s too “gray” and “pale.” “Seems like all the pretty girls have disappeared in Russia?” wrote one online user.